shine across the Corsican sky! 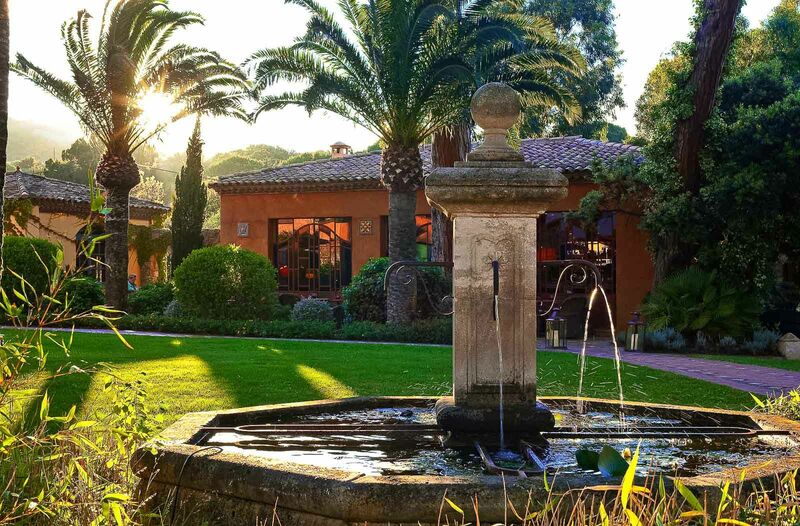 Surrounded by vines and centuries-old trees, and dominating the Bonifato valley in the region of La Balagne, this 5-star hotel, formerly the Genoese estate of La Paratella, is the pride of Corsica. Corsica, with all its heart and soul, is what you’ll find in the layout, decoration and atmosphere that owners Marie and Jean-Baptiste Ceccaldi have created. 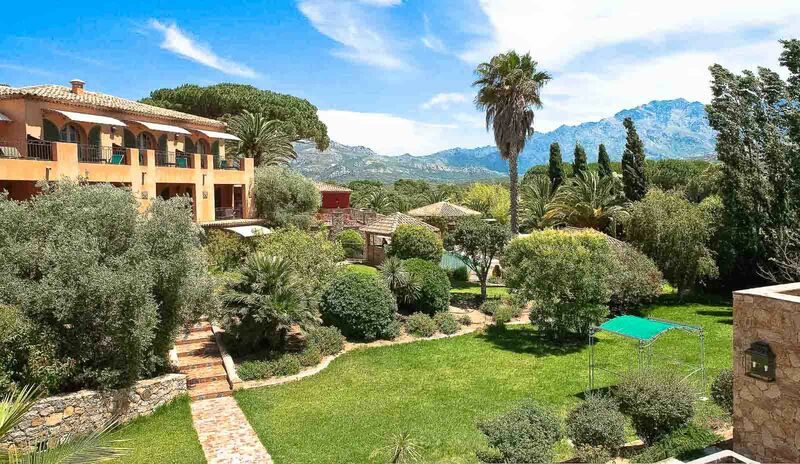 Enjoy a typically Corsican house where elegance meets simplicity, large rooms and suites that overlook the mountains, spacious villas with swimming pools and gardens and a service adapted to your very own needs. Enjoy this paradise, where you can wander through the park, relax by the swimming pool or replenish yourself at the Spa Casanera. Daytime at La Signoria is as wonderful as night! 29 room, suites open up onto the gardens and villas, offering a magnificent view over the mountains and the Bonifato Valley. For relaxing and keeping fit, enjoy a heated pool, jacuzzi, steam room, sauna, treatments and massages, fitness suite and private beach. Discover the prices of our rooms, suites, apartments and villas. For further information, feel free to contact us. Spend one of the day’s loveliest moments on the terrace with a magnificent view of the Bonifato forest and the Corsican mountains. Breakfast is served as a large buffet every day between 7:30 and 10:30am. Enjoy pastries, cakes and other carefully created delights, a selection of Corsican cold meats and cheeses, plus seasonal fruits, homemade jam, cereal and eggs. For those who want breakfast in bed, a menu is available in the bedroom. Visit the Bar Sinibaldi, the beating heart of our 5-star hotel in Corsica. The centrepiece of La Signoria is inspired by the old Corsican houses with its “trompe-l’œil” wall paintings. Its mixture of time periods, with furniture sourced from here and there, and its unique bar with real zinc and elegant lines dating from the 19th century, have made made it somewhere both sociable and intimate. From 9am to midnight, enjoy a varied menu, featuring whisky, rum, homemade cocktails (alcoholic or non-alcoholic) and Mariage Frères teas. Meet here for pre-dinner drinks to watch the sun set, when the peaks of the mountain seem to turn pink.